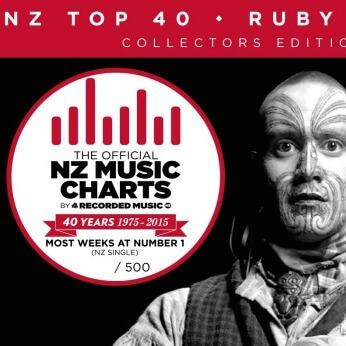 To commemorate 40 years of The Official NZ Top 40 Music Charts, Recorded Music NZ has released this limited edition 7” pressed on ruby red vinyl with all proceeds going to the New Zealand Music Foundation (www.nzmusicfoundation.org.nz) which supports music-based projects at youth organisations, hospices, schools, medical charities, rehabilitation centres and more across the country. 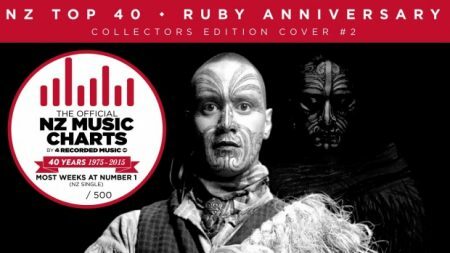 It also provides assistance to those in the music community who find themselves experiencing illness, distress and hardship. 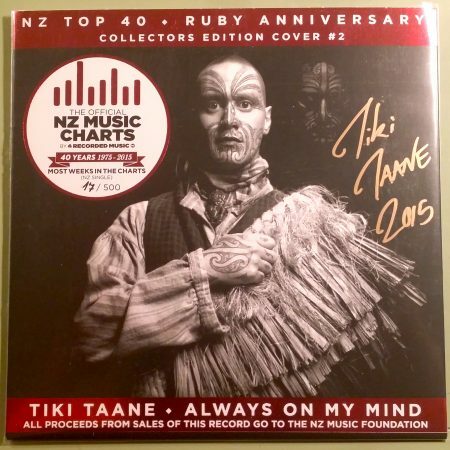 This vinyl features Tiki’s beautiful tune ‘Always on My Mind’, the NZ track that spent the most weeks in the Singles Chart (55 weeks). 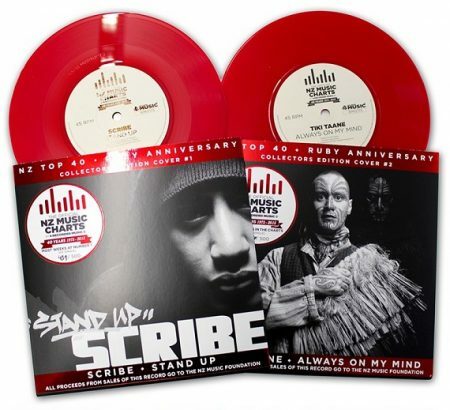 On the flipside is Scribe’s ‘Stand Up’, the Kiwi single that spent the most weeks at #1 (12 weeks). 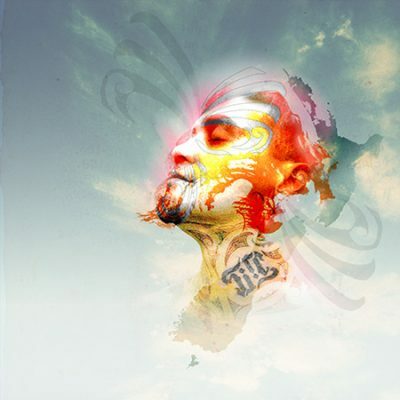 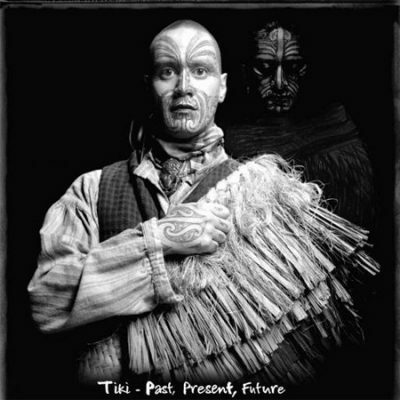 Both Tiki and Scribe donated the tracks for this project. 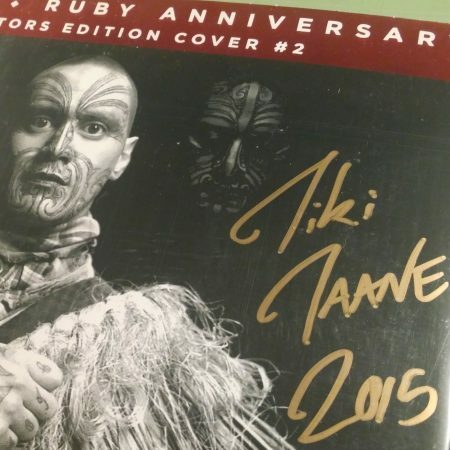 Only x 500 were created and we have the last 15 copies available – each is signed by Tiki and numbered – once they are gone, that’s it guys!